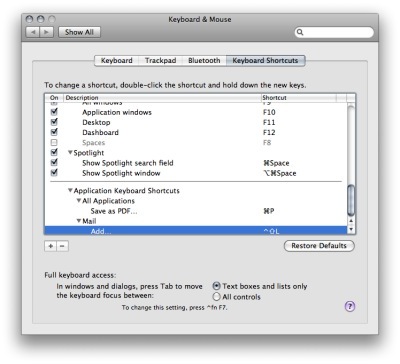 Having conquered the issue of printing to PDF with a keyboard shortcut, I decided to take on another little thing that frustrates me constantly. I often send links to friends and readers. 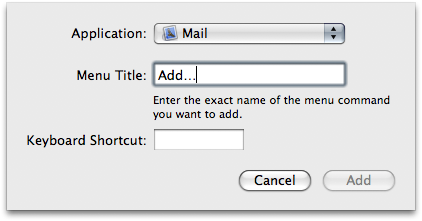 In Mail.App, in order to get the "insert link" box you have to click the mouse three times. Edit --> Link --> Add. When you are in the middle of typing an email, this is a pain. 2. 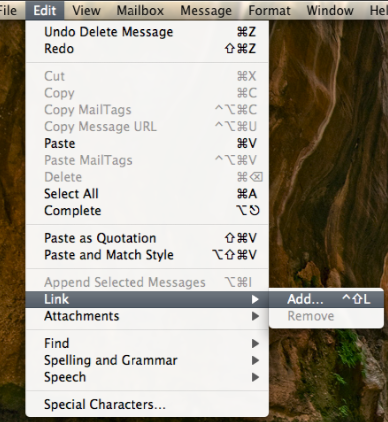 Insert the Menu Title "Add..." Once again, for the ellipsis, make sure to use the key combination "option" + semicolon (;). I have no idea why this is so but don't argue with results. That is it. 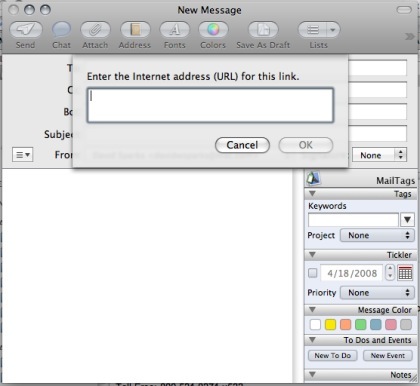 Next time you find yourself writing an email and want to add a link just type in your shortcut and forget about the mouse. Up pops the link window.